The Hi-Fi side table is made from Oak veneered plywood and Walnut. The plywood is turned on it's edge and layered many times to create a unique striped pattern along the surfaces. 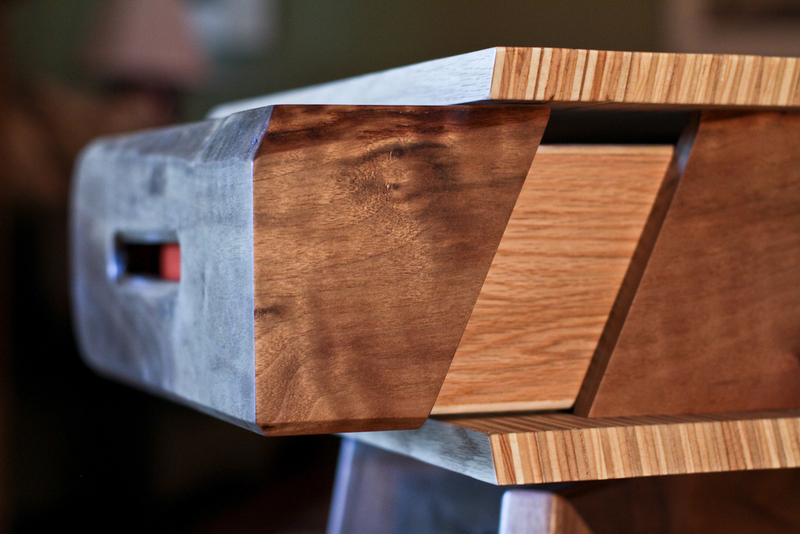 The legs are made from solid Walnut, as is the drawer front which also features a live edge. 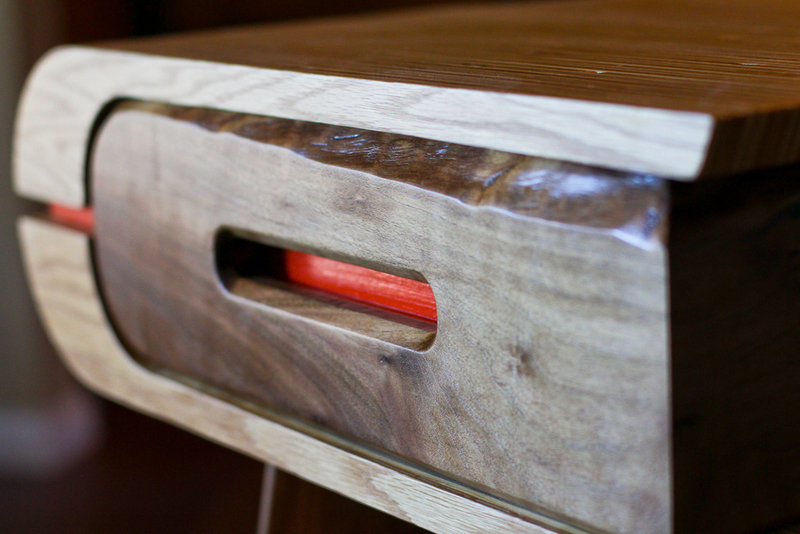 The table also includes orange accents to add a bit of color, which can be customized to suit any color palette.